Cowden syndrome – Two Rights Attempting To Make A Left! My strength comes from the Lord, my family, and my handsome husband Barry. I draw a bit of strength from each of these people. Together, day by day, problem after problem, we grow stronger as a group. The easiest way to deal with issues is one at a time, one day at a time.”Hope springs eternal”, from Alexander Pope, An Essay on Man. That quote says it all. Keep hope alive. Barry and I are adapting well to dealing with our illnesses. We had to get re-acquainted with each, but everything has worked out. He had to retire. The stroke left him unable to handle working full-time. Barry made adjustments around to house to aid me in normal daily function. He helped Libor and Jonny build a porch and ramp off the front of dad’s home. Worked beautifully. No one looks forward to losing a loved one. I for one, can definitely say, I am not ready to lose my dad, Barry lost his father at a younger age, so he is helping me deal with the emotions, while I take care of my health. My sister’s are in the boat with me. We’d like to keep mom and dad around forever. But that is not in God‘s Plan. Only he knows when it is our time to be with him. So, One day at a time. Slow as we go, enjoy every minute we have. Since brain surgery, I’ve had kind of list of things I’d like to do. I wouldn’t call it a bucket list, it is more of a list of the things I’d like to complete in my life time; or things I’ve started and never finished. There are a few items on my list that would qualify for a bucket list, but I am not in need of a bucket list. My list definitely needs to be “The Things I Procrastinated over and Want to Finish”. Let’s get to the point. This daily prompt made me think of that list. 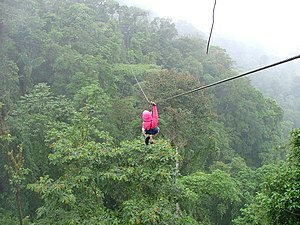 Number One on my list is taking a ‘Zip-line‘ tour. I love the outdoors,gardening, hiking, fishing, boating and all other fun outdoor activities are out of the realm of possibility since becoming disabled. Barry has adapted a few household items to help with my love of gardening and we have narrowed hiking trails down to the safe ones (I never go alone). The thing is, I long to be high in the air on a platform, basking in the warm sunshine. I want to reach up, grab hold of that little bar, and slowly step off the platform. I want to feel the wind on my face and in my hair, I long to feel the sun warming my skin as I glide through the trees, I want to look down at the forest and imagine all the colors are a huge quilt laid out beneath me; I’d love to pass a bird in flight and say “Boo”! I want to bask in God‘s creation. My health is keeping me from following my dream at the moment. At the moment, I am not physically capable of handling a Zip-line tour. 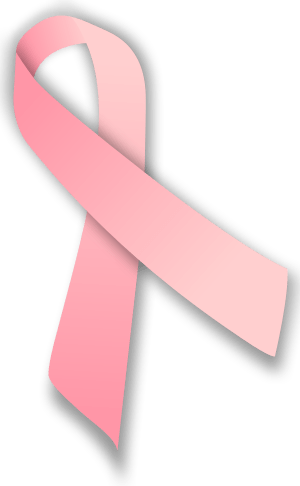 I’m dealing with breast cancer, which is turning into my latest stop on the Cowden Syndrome trail. I have a genetic disease that is slowly eating its way through my body. Putting off my zip-line tour this time is only the 7th time we have done so. Hopefully, this fall, I’ll be healthy enough to go for a little tour through the trees. Wish me luck! When you go to a doctor’s visit for a pathology report, life can get a little scary. They tell you they caught it early and it will be easy to handle once out. I’m not worried about the results, my life is in the hands of Our Glorious Heavenly Father. I’m ready for whatever he has planned for me. I’m getting a bit frustrated with things going wrong with me. I’m especially frustrated with the constant need doctors have to cut holes in my body. It will not take long for my body to look like a road map of scars. I need to make an appointment with a dermatologist next. I have a few places that need to be checked out. Cowdens Syndrome is manageable, but you have to stay on top of your screenings. Miss one could mean a major life change or your life. At the moment, my head is spinning and I can not turn it off. There are so many health issues going on with me at the moment, it is hard to judge what to handle first. The priority at the moment, is the breast cancer. My knee would have to be next and the growth on my tongue is third. Within the breast cancer treatment, I have been getting treatment to the left knee. I have an appointment next week concerning my tongue. We’ll see. Received the pathology report today from surgery. My lymph nodes are clear, but the cancer had spread in the tissue around the tumor. I have to have another operation to let the doctor remove more tissue. Unfortunately, the process I’ve just been through is about to repeat and could repeat numerous times until she is happy with the amount of tissue she has removed. I’m not happy with the thought of more surgery, but I do not want this mess growing in my body. Well supper is ready and I’m off to serve it up. Have a great evening……. Writing Through Cancer: When life hurts, writing can help. Weekly writing prompts for those living with debilitating illness, pain or trauma. Stories—the small personal ones that bring us close as well as those of the larger world—foster compassion. In the telling of our personal lives, we’re reminded of our basic, human qualities—our vulnerabilities and strengths, foolishness and wisdom, who we are…, through the exchange of stories, [you] help heal each other’s spirits. Growing up, I was a shy child. As the years went on, I came out of my shyness a little, but as I grew older and started getting serious about life the shyness reappeared in certain situations. I think we all go through an awkward phase as a child, I’d say I hit mine around the sixth-grade or seventh-grade. The summer I turned twelve years old, I shot up over six inches in height. Mom thought she was purchasing stylish glasses for me, when truth be told, they were the ugliest glasses I had ever seen. Anyone with an opportunity and a mean streak took it upon themselves to let me know how gawky and goofy I looked in those glasses. As I got taller, I was the second tallest girl in my class and the first girl to develop in all the right places. I was taller than everyone in the class. That just added to the fire. Another thing that added to my “nerdy” status is that I developed allergies as a child. I grew up when they didn’t know how to treat allergies. I was always sick, had a lot of food allergies and did a ton of throwing up after meals. Not so easy to make friends when you are literally the snotty girl, always scratching and have the ability to vomit at the drop of a hat. Kids can be so mean. I was sick so much, mom thought I needed to see a doctor daily. The ironic thing about mom running me to the doctor constantly, was that the brain tumor I have has been there since I was a child. I was sick, but not for any of the reasons she was taking me to the doctor. One stupid new girl decided she would target me on her own. I became her pet project at her new school. She took particular dislike to my glasses. I was called “Four-Eyes” so many times in the eighth-grade that I decided to let her foolishness stop bothering me and decided to kill her with kindness. Sometime in the night-grade, the bullying stopped. The new girl, never turned nice through four-years of high school, but it didn’t matter. I didn’t let her get to me. I took my classes, did my school work and survived high school. Most of us do. What you have to remember about bullies, is that they are just jealous or sometimes it could be as boy or girl who is sweet on you and doesn’t know how to handle their own feelings. Be patient growing up, God will get up through it! I went to college away from everyone I had known for years. After graduating high school, the shy girl came flying out of me again. Nursing school put me into situations I didn’t know how to handle, so I did my best. If I was uncomfortable in a situation, I worked my way through it. After I was married the first time, I ran into people here and there. What I noticed the most, was they acted like we were life long friends. God says to forgive and I have forgiven. Doctors are not kind to new nurses or old ones at that. My first nursing job, opened my eyes to how crude the medical profession can be. You would not believe, what goes on behind the scenes, at some hospitals here in Georgia. In all my life, I did not realize how ugly people can be to one another. I grew-up quickly. After my first husband and I divorced, one of my first jobs as a single woman was at the local jail in my hometown. The saddest part of that job, was seeing more people I went to high school with in jail than on the streets of town. A few were hard to believe, but others I had seen in trouble for years. I dated a deputy for a while, and he got a bit stalkerish. Someone in jail, that I had known for years, stood up for me. He did the right thing and said something when the time was right. I never got the chance to say thank you! Thank you, Joe! I know he’ll never see this, but at least I have said it. I went through many jobs, that finally lead me to the career I was meant to have. I stayed with that career until I was forced into retirement by a nasty brain tumor called a gangliocytoma. I would later discover the tumor was just a symptom of a genetic disorder called Cowden Syndrome. 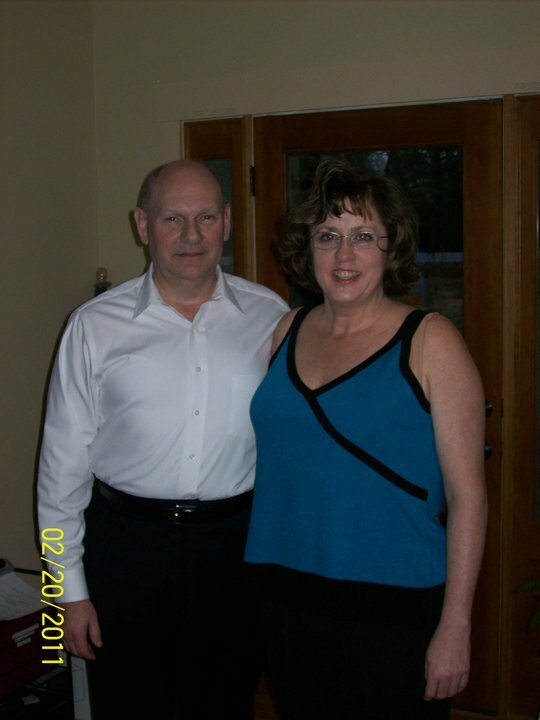 Sine that diagnosis, I have survived Thyroid Cancer and I am dealing with breast cancer. Every month, I am in some doctor’s office being probed, prodded or x-rayed. Note to all doctor’s that do lumpectomies, tell your patient’s about the fluid build-up possibility and the possibility of acting like a leaky pipe under your arm. It would make life after lumpectomy less stressful. I’m getting tired, but I refuse to let this mess get the best of me. God has a plan for my life, otherwise I wouldn’t still be around. It is not my place to question that plan. I have tolerated this breast cancer episode better than things in the past. Either I am tired of fighting, or learning how to give it to God finally. I’ve prayed about the subject. It must be sinking in. Posted in adaptation/adjustment, Coping Skills, difficult issues, difficult people, family matters, Hobbies, Learning Patience, Life as we know it, Love, medical issues, one of those days, Spring, The "New" Jill, weather	Tagged blogger, brain tumors, Breast cancer, Cancer, Conditions and Diseases, Cowden syndrome, craziness, daily prompt, family matters, Georgia, God, Health, home, Lhermitte-Duclos Disease, Thyroid Cancer Awareness, time for yourself, what next?